Professional pet sitters and dog walkers in Gosport. Welcome to Kellys Pet Care! 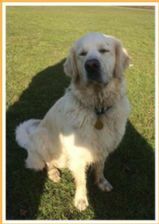 My names Kelly and I am a professional, reliable and friendly pet sitter and dog walker covering Gosport, Fareham, Lee on the Solent and surrounding areas. 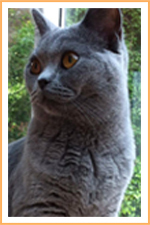 I have over 10 years experience of caring for cats, dogs and small animals in a professional capacity, and have an abundance of excellent references from customers who would happily recommend my services. Additionally I am currently undertaking a degree in Companion Animal Behaviour Management to further my knowledge in animal psychology, and have experience in animal behaviour and dog training methods. If you're like me, your pets are your family members - I myself am the proud owner of 4 cats and 2 rabbits. When you can't be home for them, whether because of work, holiday or other obligations, you want them taken care of with the same love and attention you give them. That's exactly what I do at KELLY'S PET CARE with my professional services .... Because I love pets! I understand the need for a reliable and friendly pet sitter and a resposible and caring dog walker, and all my services are provided with your pets welfare at the forefront of my business. 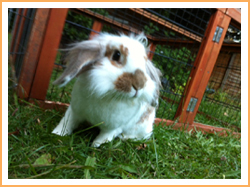 KELLY'S PET CARE offers a range of high quality professional pet care services for your pet, catering for dogs, cats and small animals such as rabbits, guinea pigs and other small animals. With over 10 years experience, I offer a range of friendly and reliable services including PET SITTING (Home Visits), DOG WALKING, and a PET TAXI service. You can relax with peace of mind that your little ones are taken care of and getting all the love attention he/she needs in your absence, with an additional stress free pet transportation service available when you need it. All of my services can be tailored to suit you and your pets individual needs, and all my services are flexible and adaptable to ensure you and your pet receive the time and care they need. At my excellent rates,and with impeccable references and years of experience, I pride myself on being affordable whilst offering the BEST possible care for your pet, guaranteeing a pet sitting, dog walking and pet taxi service which is second to none! I have over 10 years experience of working with cats, dogs and small animals including various breeds thus having the knowledge to ensure your pet is being cared for in the best possible way. I can advise you on how my services might be best suited for your pet, and I can also offer advise on diet, health, training issues, behaviour issues should you require. As a pet owner myself, I offer a reliable, friendly, and professional service treating your pet as if they were my own for the time they are in my care. All my services can be tailored to suit the individual needs of you and your pet. Whether you are away at work during the day, going away on holiday, need regular or one off care, I can assist you. Animals much prefer to stay in their own homes which is why I provide you with the perfect solution as an alternative from a kennel or cattery with my pet sitting and dog walking services. Finding transportation for your pet can be difficult as most regular taxi's wont take pets, which is why I offer you the perfect stress free solution with my pet taxi service. All my services are given with that extra personal touch, building bonds with your pet and a great relationship with their owners. I have an abundance of excellent references from my customers. 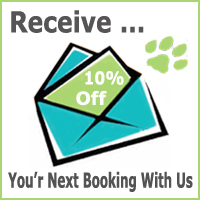 Enquire today and find out how I can assist you and your pet with your pet care needs!